If your business is like most, you probably have a portion of valuable storage space devoted to your out of date and unused electronics. In the past, this seemed like the best way to ensure valuable proprietary data didn’t fall into the wrong hands. It was also the best way to keep harmful materials from contaminating the environment surrounding our landfills. These issues created a need, which has been addressed by a few new environmentally conscious companies. There are a few new services on the market that specialize in e-waste and provide essential confidential data destruction services. These companies are growing in popularity, because their secure methods of data destruction and hardware recycling solve a number of issues. 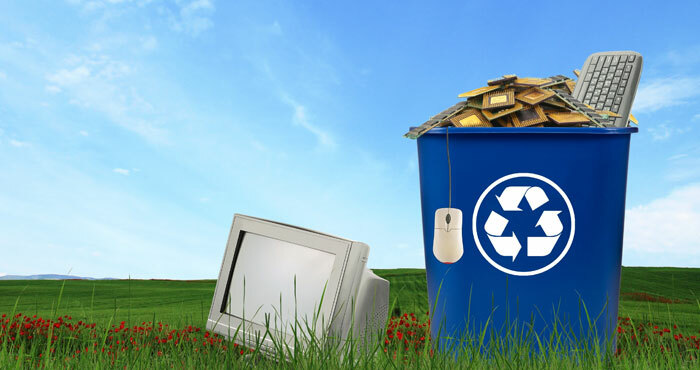 Today, businesses like yours can make use of e-waste recycling services that place emphasis on security. There are two options that e-waste companies offer to their clients to make sure they feel confident about the process. The first option is to make use of data erasing technology that guarantees every bit of information will be wiped from the hard drive of your computer, tablet, or cell phone. This allows the device to be recycled without the fear that someone will gain access to your data. You may even request that the device be returned to you, so it can be reused in your own organization. Alternatively, shredding the physical device provides a more permanent option. The entire device is run through a shredder that guarantees the destruction of every component, so no part of it can be recycled. This option eliminates the possibility of anyone gaining access to your data. These options help business owners feel confident that their data won’t be accessed by unauthorized individuals. In an age when data breaches have become commonplace, this is a primary concern. The options available by e-waste companies also helps prevent your devices from unnecessarily taking up the limited space in our landfills. Even when electronic devices must be disposed of, the components may poison the surrounding ground. By recycling or shredding your devices, you can make sure they’re not contributing to our growing environmental problems. Essentially, e-waste companies help us protect our businesses and our planet at the same time.